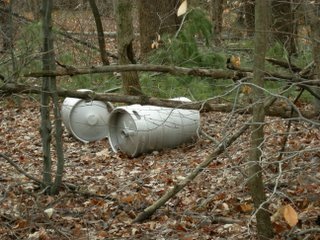 There are two kegs resting together in a forested piece of land near our home. These two species happen to have made a nice nest and most likely will live out eternity there. Come on people what gives? Every well respected drunken college student (or drunk) knows that "Dude, you gotta take those things back so you can get your deposit." Unless you happened to lift these from someone's party and thus have no reason to return these to the store. Wait a minute I have a thought. 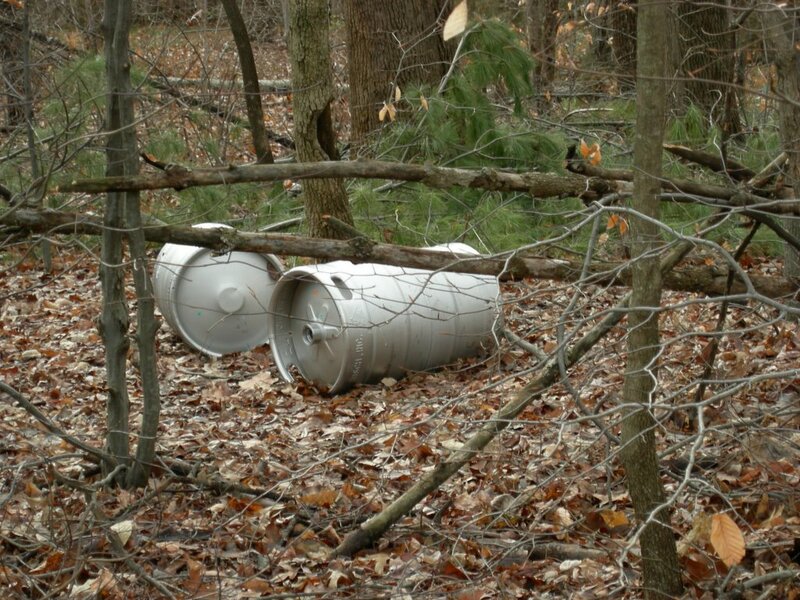 Do the liquor stores in VA actually sell kegs? They are all state run so I'm not sure they do. The VA ABC stores are all over and have a limited selection of spirits. And that my friend is no fun. We have a terrible time finding good liquor around here, so don't expect a gift of whiskey, all we can find is really good wine. Mmmmm, wine. I love those Virginia wineries. These suckers must be out of state kegs. No wonder they will remain in the forest forever. It like, totally bothers me that, like, you know, someone would allow for such priceless stuff, to like, go to waste or something. How totally un-cool. Losers. Now where did I put my beer?